After hearing a ton of mixed reviews (from both word of mouth and online reviews) about VNYL, I decided to finally bite and the bullet and check it out for myself. As some of you may or may not know, I’m a HUGE vinyl lover and I’ve been collecting records for almost four years now. I started collecting records after my sister got me a record player, a turquoise Crosley Cruiser Turntable that I named Little Darling, for my 21st birthday and since I’m turning 25 later this year, that equals four years of collecting!. Speaking of turning 25 (I still can’t believe I’ll be 25 in April), one of the things I really want to cross off my 25 before 25 bucket list (before April) is “own 100+ records.” Although I’ve been going on countless vinyl hunts lately, I’m not quite at 100 records yet (and I refuse to buy any old records just so I can hit 100!). 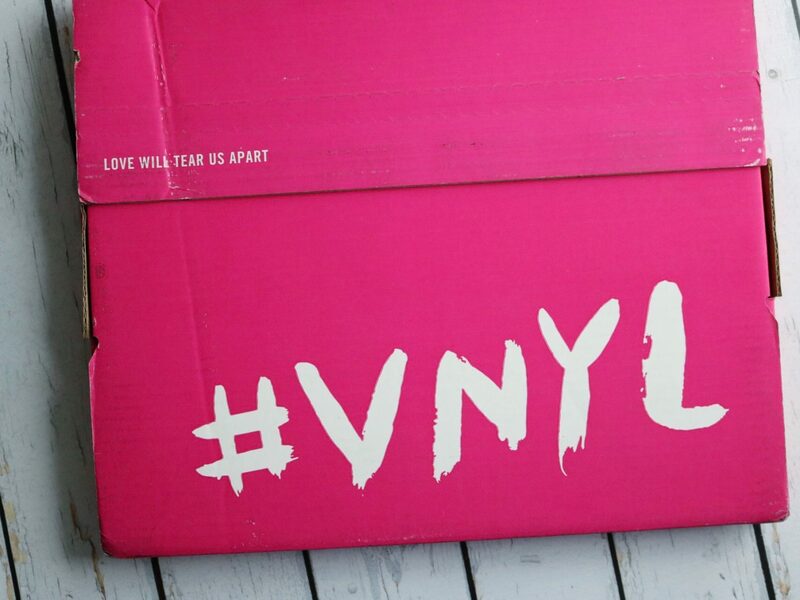 During Cyber Monday (that seems like forever ago doesn’t it), VNYL was having an awesome deal where you could get a two month membership for just $40 and since you get three records per month, that’s $40 for six records (which isn’t half bad if you ask me!). 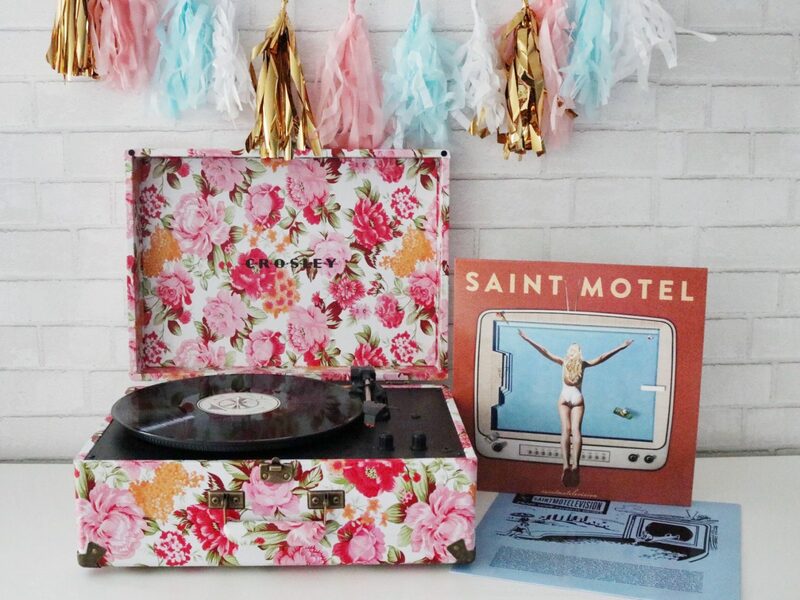 I know what you’re thinking, “why would you want something to pick out records for you? What if they send you records you don’t like or that you already own?”. 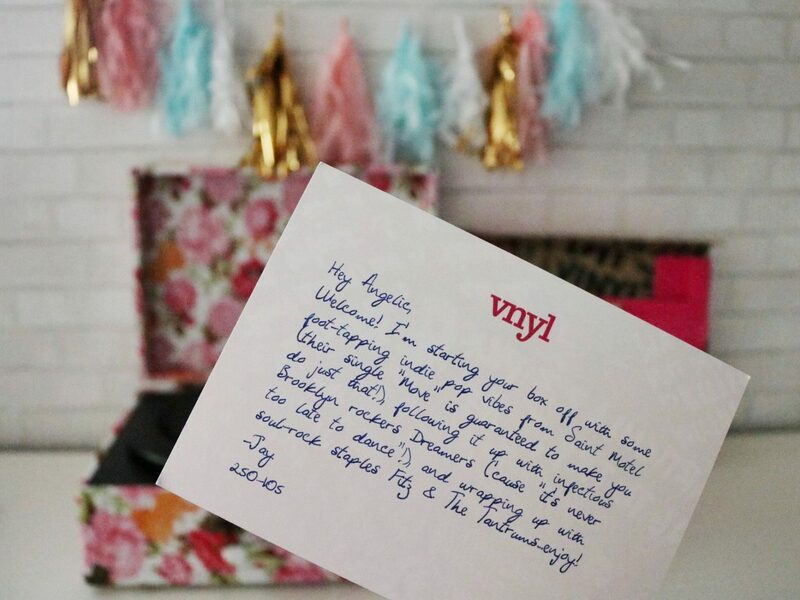 At VNYL, they hand-curate three records specific to you every month. 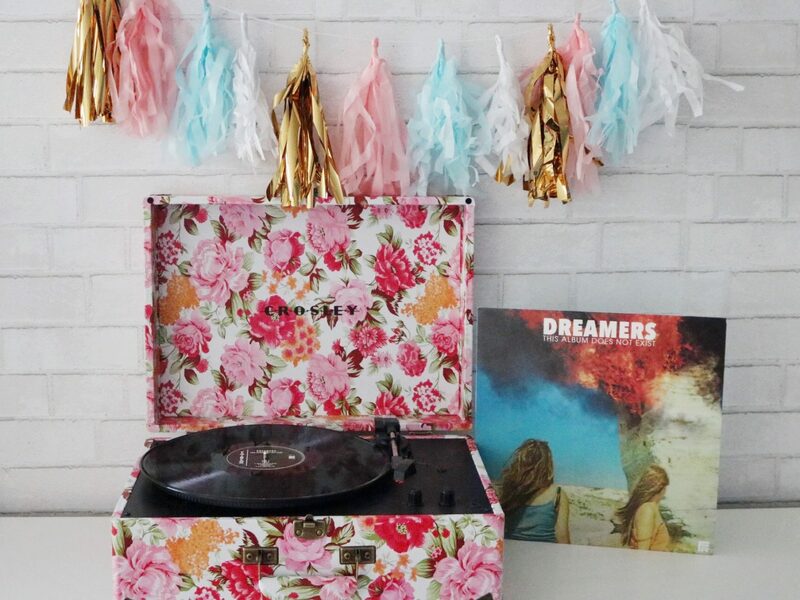 These records are based on your specific music tastes. After signing up for VNYL, you must fill out a user profile where you are asked all about your music tastes, your favorite artists, how many albums you already own, which genres you do or don’t like, etc. Each month (although, the months aren’t back to back. If you have a two month membership, like myself, you can choose to receive records in January and then you can wait until March to receive more, it’s up to you) you are asked to chose a “#VIBE,” which is basically like a theme that helps them to select which music to send you that month. 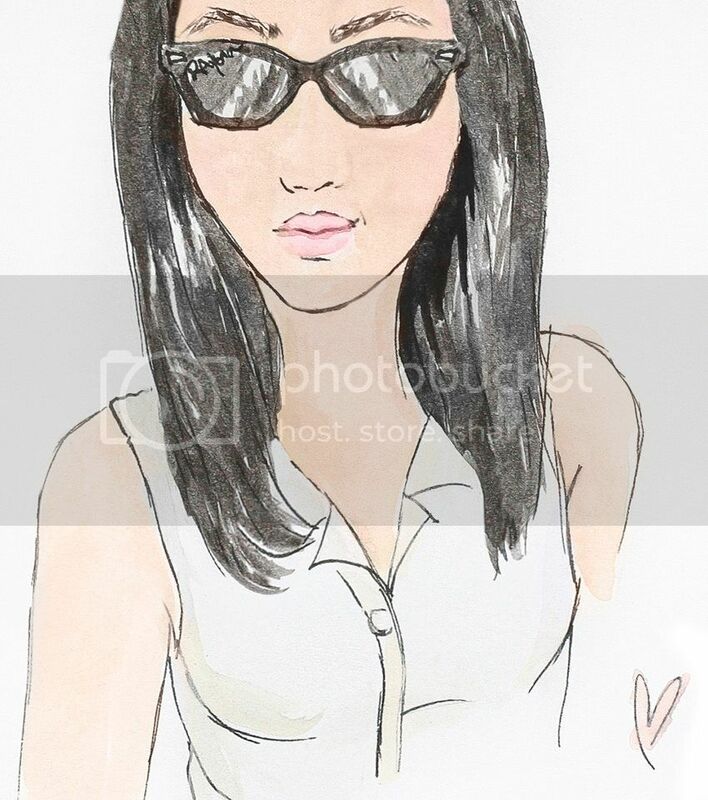 For example, since this month is Valentine’s Day, the #VIBEs are #XOXO, #electricfeelz, #ladycrush, #SingleAF, etc. Each #VIBE is linked to a Spotify playlist that allows you to get a better feel of the kind of music that goes along with that certain #VIBE. If you were to select the #SingleAF #VIBE, you’ll be taken to a Spotify playlist with songs like “Numb” by Marina and the Diamonds, “Ride” by Lana Del Rey, “We Don’t Talk Anymore” by Charlie Puth feat. Selena Gomez, etc. Meaning, you would probably receive three albums from similar artists/albums dealing with being single/heartbroken. For my first month with VNYL, I choose the #VIBE #ChampagneDreams (to celebrate the New Year) since its Spotify playlist contained songs from Coldplay (aka my favorite band) and Tanlines (I LOVE them!). 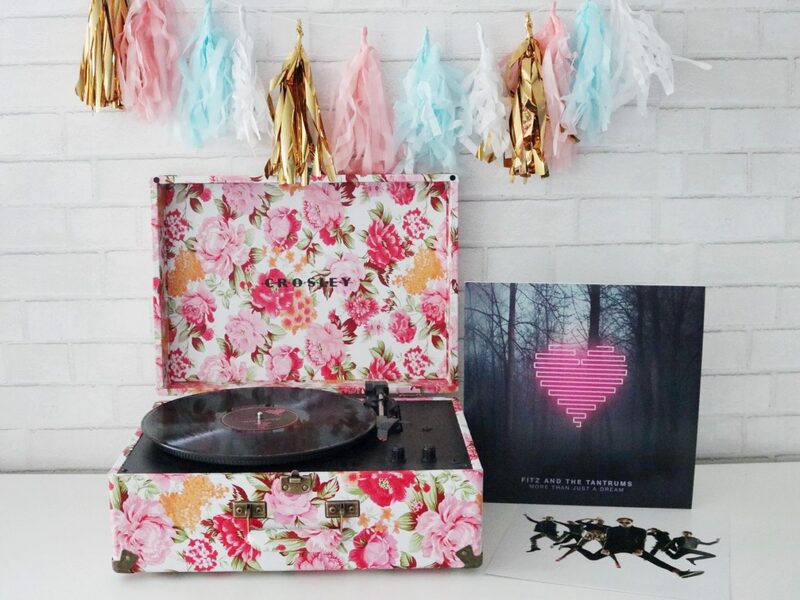 My first vinyl was Dreamers “This Album Does Not Exist.” I was super pumped when I saw this vinyl because I really like Sweet Disaster, Never Too Late to Dance and Lucky Dog! 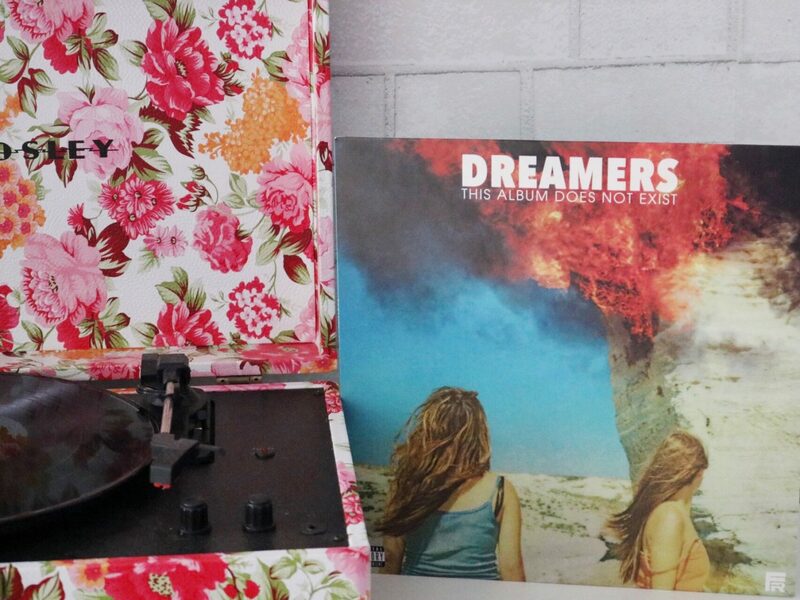 Although those were really the only Dreamers songs I was familiar with prior to getting this record, I’ve been listening to some of the other songs on this album and I really like them. Isn’t discovering new (well sort of new, since I had already heard a few of their songs) music the best?! 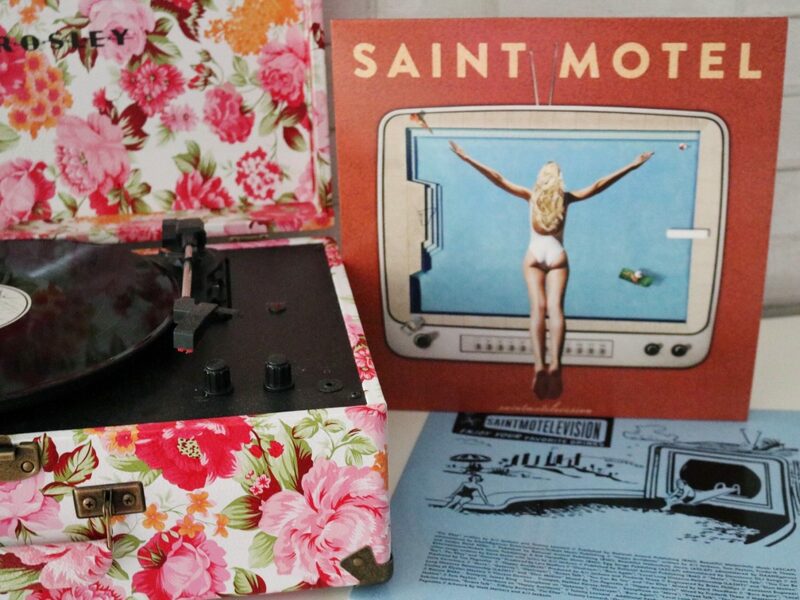 The second vinyl I received was Saint Motel’s “Saintmotelevision.” I couldn’t help but laugh when I saw that I received this album because oddly enough, I’ve been listening to Sweet Talk and Move on repeat for the past few months (how did you know VNYL, are you guys psychic?!). 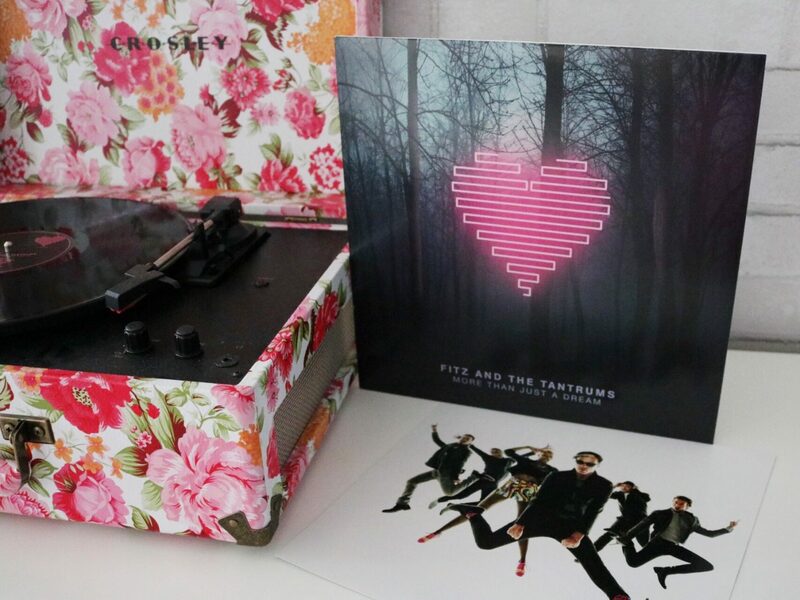 The third and final vinyl I received from VNYL was “More Than Just a Dream” from Fitz and The Tantrums! I was so EXCITED because not only have I seen Fitz and The Tantrums live before but I’ve been a fan of them for a long time! And although I already have this album on iTunes, I’m glad to have it on vinyl too! Speaking of iTunes, both “Saintmotelevision” and “This Album Does Not Exist” came with digital downloads of the albums which was awesome! One of my goals this year is to share more about my record collecting and my journey to cross off “own 100 records” off my 25 before 25 bucket list. Although I’ve shared lots of vinyl hunts and record collection posts in the past, this year I plan on doing things a little bit differently. I got a TON of Disney vinyls for Christmas so I plan on doing a whole Disney themed record collection post soon! 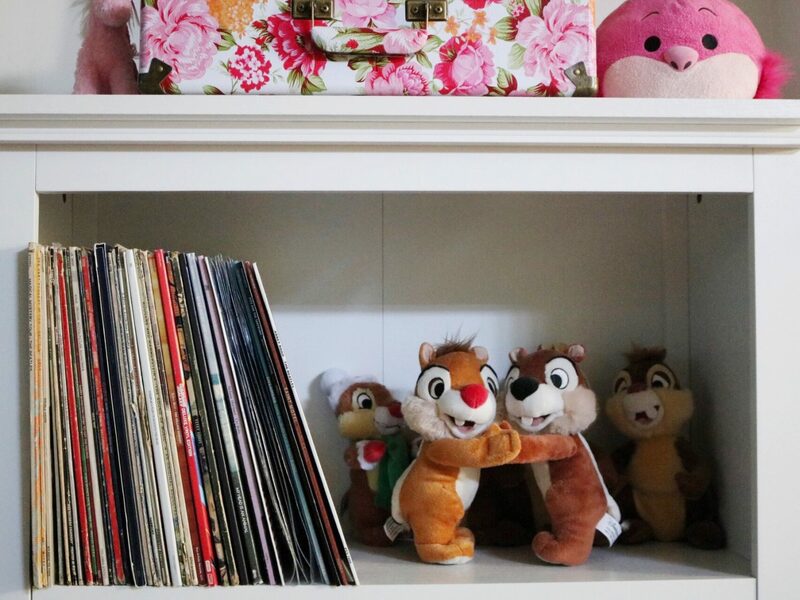 Also, if you didn’t know, the photos above are of my “record corner” in my bedroom (it also doubles as my Chip ‘n Dale plushie area!). 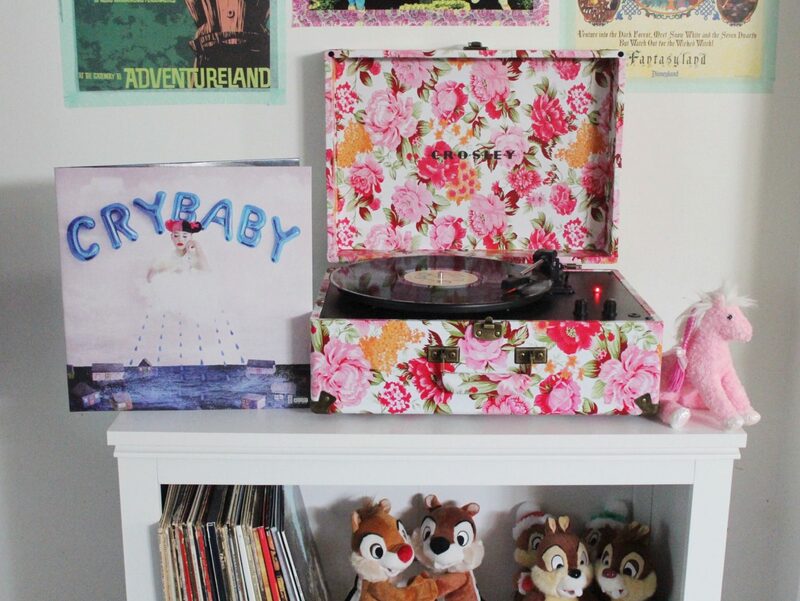 I love my little record corner so much! All in all, I was satisfied with my first VNYL experience! I liked all three of the records they sent me. 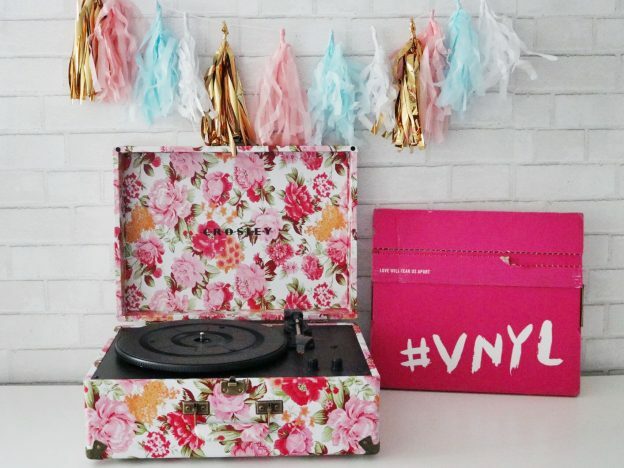 I’m not sure if I’ll be choosing one of the February #VIBES, so I might just wait until March to place my next VNYL order (since I have a two month membership!). 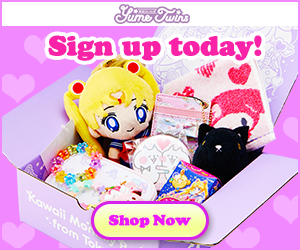 Depending on how much I like my second batch of records, I may or may not extend my membership (although, there are a few other record subscription services I want to try out as well! ).